Ex-Navy Underwater Demolition Team Officer Mike Nelson continues his skin-diving as a postwar profession...combining mastery of the scuba and spear with a flair for dangerous investigation. River Treasure: While surveying a remote river in the South American jungle, Mike is threatened by the jealousy of a man prospecting for emeralds with his wife. The Destroyers: Mike investigates the source of a radar jamming signal that caused two ships to collide. Vital Error: A famous newsman, convinced that he has a fatal illness, tries to end his life in such a way that his wife can collect his insurance, with Mike as a witness. The Dancer: A scuba diving ballerina faces the possibility of underwater amputation when she catches her foot between the buckled plates of a sunken freighter. Sperling Of Lamatsue: After being accidentally caught in a fishing net, Mike challenges an Asiatic warlord by trying to retrieve a cache of medical supplies that the dictator has dumped into a river. Rescue: Unaware that two of his treasure-hunting friends are trapped inside, Mike sets charges to blow up a sunken ship that is a menace to a busy shipping lane. Mercy Strip: Mike scouts a path through mine-infested waters so that medical supplies can reach a China Sea port hit by a cholera epidemic. Sonar Story: Mike uses sonar to foil a gang of underwater heroin smugglers. Amigo: A young Mexican boy helps Mike locate a safe entrance to an underwater fossil cave. The Aquanettes: Mike faces sharks and other unexpected difficulties while working with three pretty women undergoing astronaut training. Survival Kit: Mike is hired by a local German consul to salvage a survival kit from the wreckage of a Nazi warplane in the Caribbean. Expedition: While helping his former history professor search for pirate treasure off the North Carolina coast, Mike finds evidence that the underwater cave said to house the treasure has been tampered with. Bionics: Mike convinces a reluctant daughter to continue her father's work after he is killed testing an underwater electrical detection device. Dead Man’s Cover: Skin-diving fans Robert and Maria Tyler explore the sea with an underwater camera. But only Mr. Tyler returns. His explanation: wife Maria drowned 'accidently.' Mike Nelson uses an underwater photograph to test the truth of Tyler's story. Explosion: "Killer Rock," a jagged, treacherous, underwater off-shore peak, tears the hulls of passing ships like paper. Mike Nelson's assignment: destory it! Mike, armed with dangerously unstable explosives, fights ocean currents and an attack by an electric ray to fulfill his job. The Amphibian: Six sportsmen rent an amphibian plane to fly them to a good skindiving site. Mike Nelson is hired to supervise their safety. When one of the divers, using a Sea Scooter, mysteriously disappears, Mike searches and finds him - photographing secret Navy installations! Mike Nelson, armed only with a dagger, cometes for his life against the spy's powerful spear-gun. Lord Christobal: The Caribe Insurance Company sends Mike to the West Indies to investigate the sinking of a freighter. On arrival, Mike finds a shipping executive murdered, a grim warning someone doesn't want Mike to investigate! A Calypso singer helps Mike solve the murder and the mystery of the sunken ship. 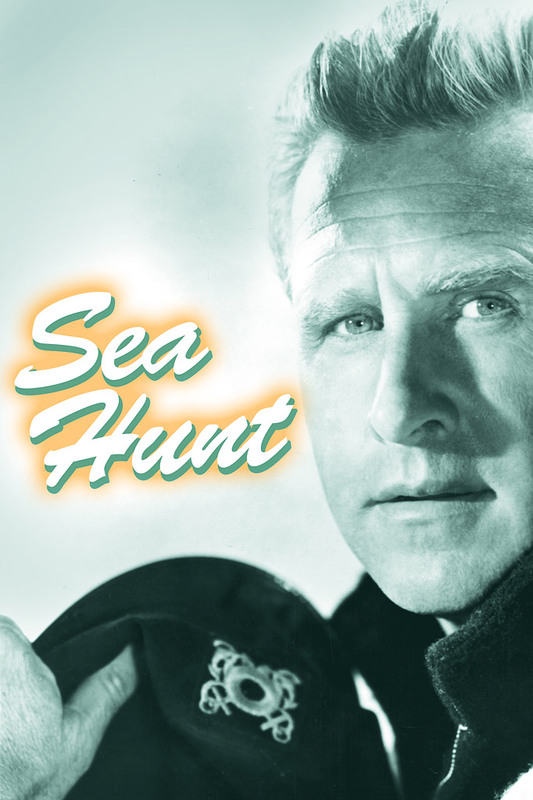 Sea Has Ears: Investigating the death of a telephone company employee, Mike Nelson discovers an underwater cable has been tapped - and the culprit is eavesdropping on top secret research conferences. Mike rigs an ingenious mechanical device to discover where and how the wiretrappers are operating. The Manganese Story: Fighting sharks and an approaching hurricane, Mike Nelson and a young geologist discover a field of pure manganese - a vital metal to national defense - on the ocean floor. The geologist, insane with greed, tries to kill Mike Nelson and claim the discovery as his own. The Alcatraz Story: Three brothers hire Mike Nelson to give them SCUBA instructions. Their secret purpose for the lessons: a daring underwater attempt to free a fourth brother from Alcatraz, the 'unbreakable' island prison. Mike discovers the plot, then uses his two fists to smash it. Operation Greenback: And old frogman buddy dupes Mike Nelson into using his signature to procure dynamite. Mike becomes suspicious and learns he has been made the unwitting accomplice in a fantastic scheme: his 'friend' plans to blast into the currency vault of a bank situated at the edge of a lagoon. Mike acts fast to head off the attempted robbery. Underwater Security: On a government assignment, Mike Nelson tests the security of underwater approaches to an oceanside rocket fuel plant. At the mouth of a tunnel leading to the very heart of the plant, he captures two saboteurs -- but only after they have fired a delayed action torpedo into the tunnel! Mike daringly risks his life to swim into the tunnel and disarm the deadly projectile. Underwater Labyrinth: An electronic test boat sinks during a Florida hurricane, taking a newly-developed guided missile tracker with it to the bottom of the sea. Mike Nelson, hired to recover the invaluable equipment, discovers skindiving thieves have already made off with it. Mike overtakes the thieves and outfights them in a fierce land and sea battle. Girl In The Trunk: A girl is placed in a straight jacket, securely locked in a trunk and cast to the bottom of the sea. It's all part of a carnival act - except she doesn't come up! Mike Nelson learns the secret of the act in time to save the girl from drowning. Monte Cristo: A movie company is shooting the famous scene from 'The Count of Monte Cristo' in which Edmond Dantes escapes prison by being thrown into the sea in a burial sack. The producer hires Mike Nelson to assist the movie star and his stand-in in the perilous underwater sequence. Mike discoveres the star's recklessness and the stand-in's jealousy are leading to disaster. Mike Nelson expertly supervises the perilous sequence -- and saves a man's life. The Stunt: Mike accepts the challenge of Blaze Green, an expert female swimmer, to race underwater from the California coast to Catalina Island. Blaze -- hungry for the publicity she'll get if she beats Mike -- pits trickery against Mike's superior underwater skill. Then she recklessly courts disaster by swimming into a furious subsurface storm. Mike executes a daredevil plunge into the turbulence to reach Blazem saver her life -- and his own. Diving For The Moon: Mike takes a group of future space pilots to the bottom of the sea, where many survival problems are similar to those encountered in outer space. But a sudden hurricane washes their boat away, stranding them underwater. Mike leads a struggle against cold, panic and lurking sharks to avert disaster. Alligator Story: Caesar, a vicious alligator, escapes from a wild animal show in Silver Springs, Florida, and takes refuge in the lake in a public park. Mike Nelson volunteers to match brain and brawn with the man eater. Jettisoned: During a hurricane, an Air Force bomber is forced to 'ditch' an unarmed nuclear bomb off the coast of South America. Sea water corrodes the bomb casing, threatening at any moment to trigger a gigantic explosion. Mike's perilous assignment: find the bomb and recover it before it goes off! Mike Nelson overcomes unexpected obstacles in a desperate attempt to complete his mission in time. Murder At 60 Feet: Mike is hired to teach SCUBA diving to Paul Garrick's wife, supposedly in the hope that water therapy will restore her paralyzed legs. Actually, Garrick is setting up a murder with a treacherous, powerful weapon -- the swirling underwater current of Drake's Cover, off the California coast. Mike Nelson engages in a furious battle with Garrick to prevent the crime and save Mrs. Garrick. The Dam: Checking the underwater security of a newly-constructed turbo-electric dam, Mike Nelson discovers dynamite set in one of the intake valves. He races against time to catch the saboteurs and save the dam from explosive destruction. Mike subdues the underwater saboteurs before they can fire the deadly charge. Dock Fire: Flames from a fierce dock fire approach a chemical suppy building on a city's waterfront. A gigantic explosion is almost certain to rip the entire city apart. With the building already cut off by fire, Mike Nelson attempts an almost suicidal task: swim into the buidling through an underwater intake pipe and douse the chemicals in water. Mike, with an entire city at stake, braves the roaring inferno. The Persuaders: Smugglers receive narcotics shipments via a fishing boat, which drops the contraband cargo off the coast, in sixty feet of water. At the point of a gun, they force Mike Nelson into a treacherous bargain: locate the narcotics container and retrieve it from the ocean floor --- or die. Mike puts an ingenious but risky plan into action in an effort to scuttle the smuggling operation. Nerve Gas: After coming upon a Japanese submarine sunk during World War II, amateur skindiver Gerald Wiley goes suddenly beserk and tries to strangle his wife before falling into mysterious unconsciousness. Called to the pair's assistance, Mike, while applying artificial respiration to Wiley, also goes strangely berserk and after a fierce struggle with his partner regains consciousness in a hospital. There he tells Mike the reason for his uncontrolled behavior -- a shipment of deadly nerve gas is seeping out of the sunken submarine. Mike makes a daring attempt to find and destroy the invisible menace. The Shipwreck: Mike Nelson is surveying underwater currents off California's coast when an unexpected storm capsizes his boat and many others. Swiftly, Mike inflates a life raft, and picks up three survivors of the storm. Mike pits his strength against terrified passengers and the terrible rigors of the open sea. Strange Salvage: Two divers make an exciting discovery on the ocean floor: the wreck of the 'Seawind,' a luxury yacht which sank with a magnificent jewel collection aboard during a storm. But Lou Martin spots the divers and drowns them to protect his interests in the yacht which he found first and has systematically looted ever since. Investigating the drownings, Mike tracks down Martin -- and thus puts his life in danger. Mike falls into an underwater trap laid by Martin and fights for his life.